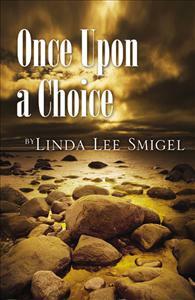 Once Upon a Choice, a spellbinding fictional story, combines fascinating characters with metaphysical components, anchored by the infamous Tarot Cards. Meagan Hamilton’s world seems to be unraveling overnight. A young wife and mother, Meagan begins to realize that her husband Ross, an international business man, may not be who he seems. Once Upon a Choice, a spellbinding fictional story, combines fascinating characters with metaphysical components, anchored by the infamous Tarot Cards. Meagan Hamilton’s world seems to be unraveling overnight. A young wife and mother, Meagan begins to realize that her husband Ross, an international business man, may not be who he seems. His strange behavior, secretive meetings and sudden trips lead her to believe that he is living another life, one which may eventually prove harmful to her. Enjoy the wild ride with Meagan as she embraces life’s challenges as well as joys, and uncovers the synchronicity among seemingly random events. Loved this book.had everything in it to make you want to read more. only took me a few days to read because i didn't want to put it down. Enjoyed every page. Also like the format,short chapters to make it a fast read and the print was also a nice size.